From Left to Right: Jennifer Hoffmann. Cody Kilgore, and Emily Hartley. Take a look at a piece of art near you. What do you see? How does it make you feel? Observing, analyzing and enjoying art is something we do every day, often without even noticing we’re doing it. But there’s another dimension to every piece of art: its artist. Conversing with artists about why they create, what inspires them and how their history impacts their art can be just as interesting as the artwork itself. Another aspect that could be equally thought-provoking is the likelihood that the artist works a “day job” like most of us. Kilgore is in the same boat. 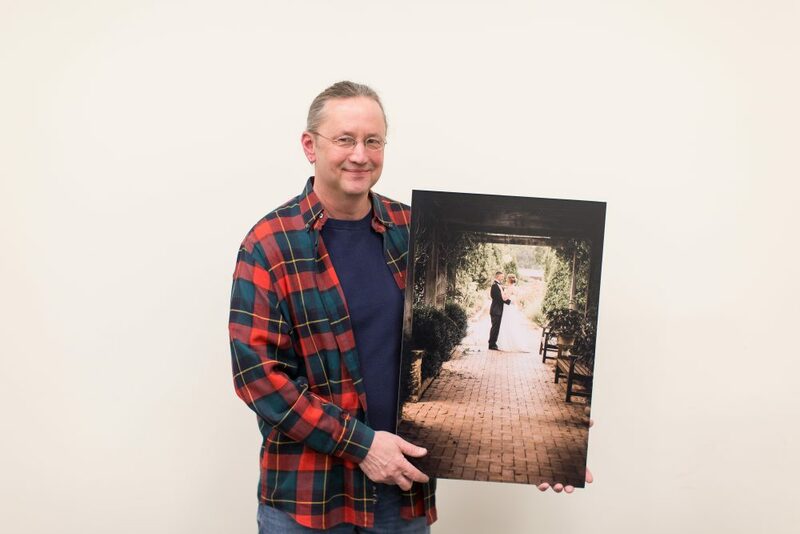 In addition to being an in-demand photographer of wedding and senior pictures (among other subjects), he helps his partner run Clarion Sage Farm, and he’s the current president of the Waukee Area Arts Council. He says that for artists, it’s important to be “careful and disciplined with your time,” as procrastination isn’t the only potential pitfall—so is overworking. “It’s very easy to work seven days a week if you aren’t careful. You may not work full days all seven days, but between the creative side and business side, you can easily slide into a habit of never taking a day for yourself,” said Kilgore. With a front seat view to art in Waukee, he feels the visibility of art and excitement about it is growing. 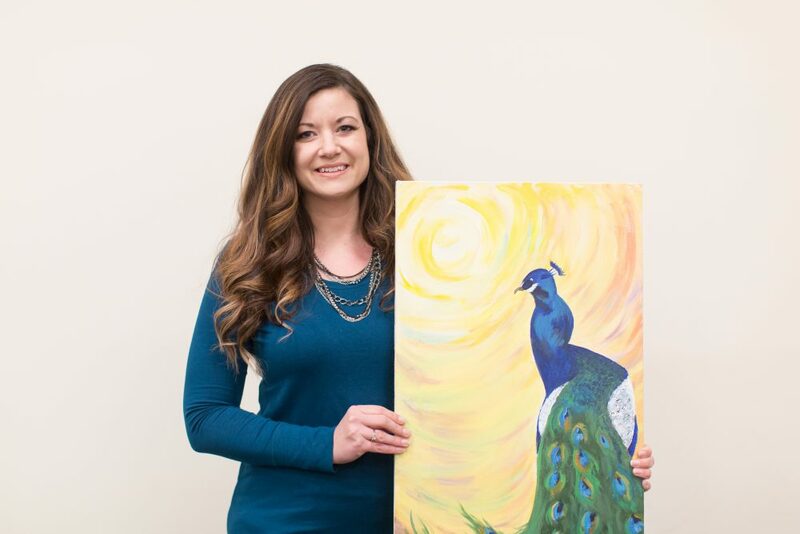 Jennifer Hoffmann, vice president of the Arts Council, said that being involved with the group really opened her eyes to the wide variety of people that live in Waukee. The impact for which the Council strives is certainly visible at the annual Waukee Arts Festival. Last year the family-friendly event saw 55 artists and over 3,000 visitors, as well as 10 different musicians and six local food vendors. This year’s festival will feature more artists (75 are expected) and easier access to the artists’ booths along the park road. It will also be held on a Saturday instead of a Sunday. Mark your calendars for a fun-filled day on July 8 from 11 a.m.-5 p.m. at Centennial Park, followed by a concert from 6:30-8 p.m.
“This year, our featured artist is Nash Cox, an extraordinary award-winning watercolor artist whose detailed works featuring vintage automobiles are something you have to see to believe,” said Kilgore. “You’ll have to do a double-take on his watercolor paintings, as they have great detail and look like a photograph,” added Hoffmann. For artists looking to exhibit at the popular event, the registration form can be found online at waukeearts.org. Student exhibitors were invited for the first time in 2016 and are welcome to register again this year. For Hoffmann, this is one of the most exciting aspects of the festival. “The high school students of Waukee are very talented and it’s wonderful to see upcoming artists in this community,” she said. Kilgore added that the Council works hard to find unique food vendors that offer a variety of options. This year, visitors will also be able to buy a cold beer—perfect on a hot summer day or while enjoying the evening concert. 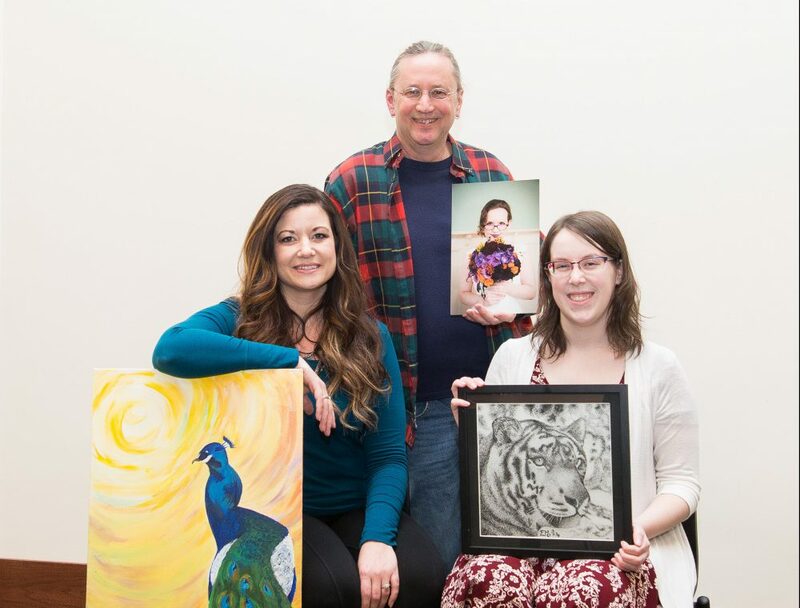 The Waukee Arts Festival is an optimal time to meet local artists in person, but in the interim, read further to get to know four locals with a passion for creating. MyWaukee: What’s new in your world of photography? CK: Twig, stone, and stream photography. It centers on adventure weddings, where people do their engagement sessions or their weddings in remote places. The end goal is to land a wedding at Everest base camp someday! Do you have any advice for aspiring artists in Waukee? Visit blackcapphotography.com to get a better taste for Kilgore’s photography style and review his portfolio. Hoffman was first introduced to the Waukee community when she moved to West Des Moines from northwest Iowa about a decade ago, at which time she began working as a substitute teacher for the Waukee Community School District. 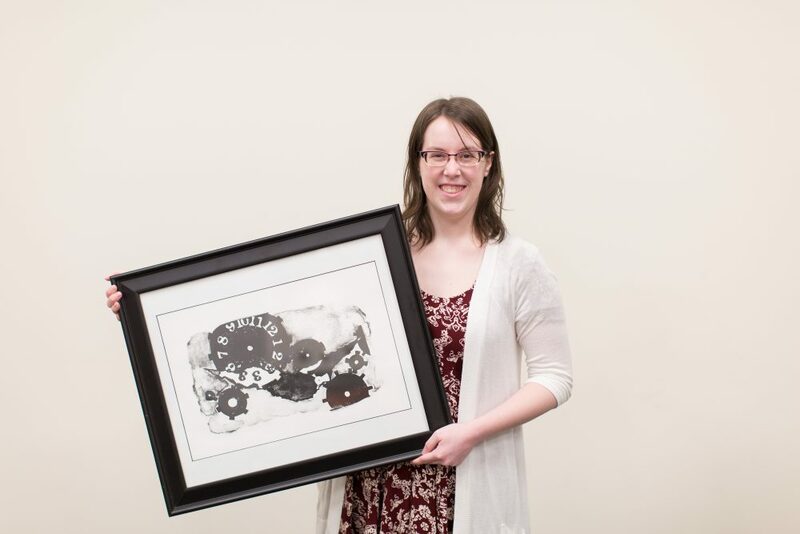 While teaching, she saw a lot of talented students with a passion for art, and after leaving the school district, she needed to fill her art void. So, she got involved with the Waukee Area Arts Council and has served as Vice President since 2014. MyWaukee: How would you describe your aesthetic? What artistic medium do you work in? JH: I enjoy creating abstract art and I also do still-lifes and the occasional portrait. I typically work with acrylic paints but I also use charcoals and other mixed media in my work. The abstract paintings I create are usually multiple canvases and part of a larger series. I like to create paintings that belong together and can be displayed multiple ways. This way, the person that buys my art and hangs it in their home can create a completely different piece of art than another person that has purchased the same series. In a sense, the buyer becomes a collaborator with my art! How do you balance your day job with your time spent creating art? I work at Wells Fargo and I’m an avid volunteer with many organizations. I try to focus on doing one creative thing per month. My house has an art/podcast studio in the basement, and my husband, Griffin, motivates me to work on my art while he works on his podcast. Sometimes finding the right balance is about motivating each other and making one another accountable for their goals. Speaking of motivation, what motivates you most? What motivates me most is when my friends ask me to create art for their homes. I enjoy creating something that is personalized just for them. I feel so honored when they want my art to be a part of their home. It’s my ultimate goal for all of my friends to own a piece of my art. Where can someone go to view or buy your work? After graduating from Waukee High School in 2009, Rolek headed to Iowa State University and graduated with a Bachelor of Fine Arts degree. He moved back to Waukee and brought with him an ever-expanding knowledge for beautiful works of art. When not working, he blows glass at the ISU Gaffers Guild (which he joined while in college. Rolek’s works have been in national and local exhibitions, and he’s received several awards and special recognitions at these competitions. MyWaukee: What inspires your artwork? ER: My body of work amongst the mediums wood, glass and ceramics is influenced by everything I’ve encountered through my travels and life experiences. From geometric building structures to the most organic shapes in nature, I start with the original form and abstract it to create a new outlook that wasn’t perceived before. The work I create doesn’t portray a deep political or environmental meaning, but simply the essence of well-articulated design and craftsmanship. I have a love for working with all the different mediums because they all require a completely unique process to get a finished piece of art. What’s your take on the art scene in Waukee? Growing up in Waukee, I never saw much public art on display, so I’m really excited to see the push of public art developing in Waukee area. What’s your “day job,” so to speak? I work at Performance Displays and Millwork in Grimes as a Microvellum Engineer. At Performance Display, we produce a wide range of architectural millwork and commercial retail displays for clients all around the country. How do you balance work with your time spent creating and making art? I work a lot, but the best part of the day is when I get home and get to be in my own shop. I often find myself working late into the night without realizing it. Since I graduated college, I’ve started gathering a variety of tools that I wanted and now have a complete woodworking shop. In my shop, I get to build my own designs and explore my creativity. You were in the Waukee Arts Festival last year. How was that? What was your favorite part of the festival? The Waukee Art Festival was the first public crafts show I’ve ever done. It was an amazing experience because of a tremendous amount of planning and preparation. My favorite part was selling a piece of my art to a complete stranger for the first time. The stranger was so amazed and full of joy about finding this piece, like she couldn’t live without it. It really gave me the true feeling of how my work can impact people. I plan on attending again this year with new work. Do you have any advice for other aspiring artists, or students just starting out? If you can dream it, you should build it! Spend equal time between designing and building because when you’re building, you’ll discover problems you never would have thought of in the drafting stage. The majority of my work can be seen on my website, ericrolek.com. (My website is in the process of merging into more of a sale-based site as opposed to portfolio style.) Everything is for sale and all commissions are welcomed. Hartley has lived in Waukee “long enough to remember North Middle School being the high school building at the time.” She graduated from Waukee High School in 2009, received a Bachelor of Fine Arts in printmaking with a minor in painting from Drake University, and recently went from working part-time to working full-time as a merchandising coordinator for Right Stuf Anime. While she learns the ins and outs of her job, her studio time has shifted to nights and weekends. MyWaukee: How would you describe your artistic style? What mediums do you work in? EH: My aesthetic tends towards the Oriental. Think ancient Chinese paintings and Japanese woodblock prints. As for mediums, I do everything from printmaking, painting, calligraphy and graphic design to building and sculpture. If it’s an art or craft, I want to learn how to do it. What’s your take on art, specifically in Waukee? My biggest art experience in Waukee was during school. I love that the Waukee Arts Council offers art to everyone from preschool to adults! It doesn’t matter whether or not you’re good—it matters that you’re able to be creative, expressive and enjoy what you’re making. I’ve been participating at the Waukee Arts Festival since its first year. It was my first art show and I learned a lot from the experience. I enjoy talking to people about my art as well as to the other artists about their work. I will have my booth at this year’s show. Any lessons you would give to a fellow aspiring artist? My best advice is to keep trying. Don’t give up. Go with what you want and what feels right to you. Enjoy it. There will always be someone who doesn’t like your work—and sometimes that may be yourself—but stick to what you love. My website is emilyhartleyarts.com. I do custom works of art. If you have an idea, I’ll do my best to bring it to life. If you order something and you live around the Des Moines area, I’d love to meet you and bring you the piece you bought! When sitting down at your favorite local bar to take your pick of brews, have you ever stopped to think about how the beer magically flows from the tap or how all of those bar fridges get perpetually restocked? That part of the beer’s journey—between the brewer’s fermentation tank and the bar’s beer menu—is the portion that sales representative (and Waukee resident) Andrew Doll and his colleagues at Doll Distributing think about every day. Doll Distributing, like the name implies, is a distribution company for beverages, and their product selection is as impressive as their reach. Doll Distributing supplies domestics (including well-known Anheuser-Busch brands like Budweiser, Rolling Rock and Michelob Light), craft brews (such as Millstream, Back Pocket and Lion Bridge brewery beers), and imports (like Belgium’s Leffe Blonde and Germany’s Maisel’s Weisse) to 3,269 retailers in 41 of the 99 counties in Iowa. The beer makes its way to the vendors from three locations across the state—Des Moines, Spencer and Council Bluffs. A roster of this depth makes it the largest alcohol distributor in the Midwest! Independent distributors are state and federally licensed to distribute, as the U.S. Constitution denotes it, “intoxicating liquor.” States have regulatory powers over the alcohol in their state, which means each state’s liquor laws and regulations are unique. Way back when, prior to Prohibition, alcohol producers were directly tied to the bars and venues that sold the alcohol. This created a natural barrier to new brewers and producers who couldn’t enter the market easily without the same sort of direct access to a vendor. High-volume drinking was encouraged through aggressive sales and cheap pricing, made possible from the “tied-house” model. In turn, this brought about pervasive social problems like addiction, gambling and people (typically men) drinking away their wages, leaving nothing for their families. Then the country went through a dark age in which alcohol was outlawed and also unregulated. Moonshine was brewed in secret at home, the Mob moved in on distribution and speakeasies took consumption underground so their customers could avoid arrest. Luckily, Prohibition didn’t last forever, and following the passage of the Twenty-first Amendment to the Constitution in 1933, all states could regulate alcohol as they saw fit. This amendment also constructed a tiered system for the alcohol industry. Unlike the prior system that facilitated over-consumption and monopolistic selling, the three tiers help balance regulations of control with consumer access. This is where businesses like Doll Distributing enter the foamy fray. Brewers make the beer and sell it to independent distributors. A distributing company can buy different beers from different brewers, so their selling selection is more diversified. In the third tier, the vendor can buy from the distributor what they wish to sell. Established in 1965 by Merlin and Edith Doll, Doll Distributing is still family owned and operated. Andrew Doll is a part of the third generation involved with running the business. 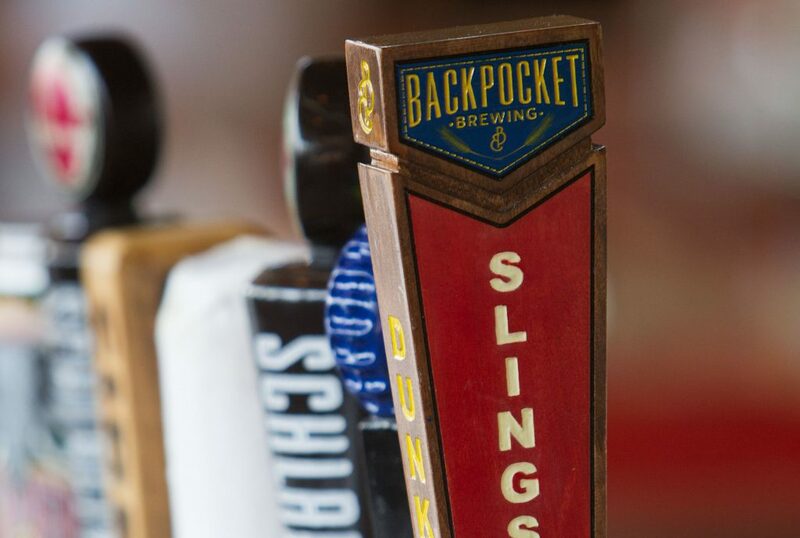 Can’t wait to try the new seasonal beers at the restaurant down the street? You can thank distributors for the wide variety available to you. Distributors work with brewers big and small to cultivate varied and vast selections for their clients, which means a better, diversified beer selection for everyone. “More than 120 brewers ship beer into Iowa, plus another 70 more make beer in Iowa. Distributors are proud to display tremendous portfolios of local, regional, national and international beers. If there’s a demand for the beer, there’s a wholesale beer distributor willing to work with the brewer,” said Cooper, citing Peace Tree and Exile as two of the many Iowa brewing companies who work with distributors. Doll believes this tiered system works, especially if you look at the economics of the U.S. and Iowa beer market. 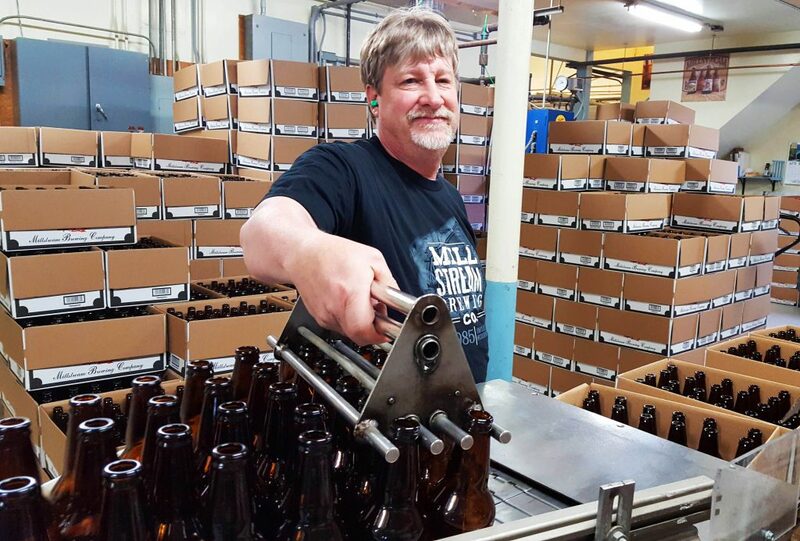 “We have products from down the street to across the world in many of the retail establishments the consumers visit, and we’ve seen a massive expansion of craft breweries across the U.S. and Iowa. This industry has succeeded under the three-tier system,” said Doll. In comparison, Doll explained, countries like Mexico or European nations are places where craft breweries have little access to the overall market. As the head of an association that is focused on providing equal distribution access to both macro- and micro-level brewers, Cooper can attest that the system allows micro-producers a level of access unmatched in any other retail sector. Yet, Cooper is not blind to the challenges the beer industry in Iowa is facing overall; he cited Iowa beer consumption peaked in 2008 and is falling. “Iowa’s three-tier system applies to all types of alcoholic beverages, but you see more beer distributors because the volume is much larger,” said Cooper. He explained that the state of Iowa is the wholesaler for liquor, and “every bottle of liquor sold in Iowa must be shipped to a central state warehouse in Ankeny to be taxed and distributed.” In this, Iowa’s not alone; there are 17 “control states” in which the state has a distribution or retail monopoly on liquor. Doll stated that many of the alcohol industry principles are the same across state lines “to ensure the customer has product in stock and in code.” The main differences are the different state laws. For example, in Minnesota, strong beer sales on Sunday are illegal; in Nevada, liquor can be sold at supermarkets and convenience stores; and, in Pennsylvania, wine and liquor can only be sold through 600 state-run stores. Even though most don’t know about the three-tier system, it’s important to the quality of the beer. Because distribution companies are independent, they have to maintain state and federal licenses, which means transparency, accountability and a certain standard of safety. Doll explained that wholesalers ensure the product they represent is safe and hasn’t been recalled by the producer. “In other countries, that is not the case, and people have died from tainted alcoholic product because of no regulation,” said Doll. Plus, companies in the alcohol industry pay some hefty state and federal taxes. In Iowa, that results in $2.43 in state and federal taxes generated for every case of beer sold! Along with paying taxes, distributors serve as excise tax collectors of the money that is then used to pay for state and community programs. “We work tirelessly to ensure our message of responsibility is on people’s mind when they make that decision to drink,” said Doll. That message of responsibility starts with the people in the service industry. Doll Distributing offers training to teach bartenders and wait staff how to identify those who have overindulged and how to intervene in those cases. The company also focuses on preventing drunk driving by collaborating with multiple radio stations to promote a “safe ride home” program. They have even given out more than 175 vouchers for free cab rides home. OWIs don’t just apply to automobiles, so Doll Distributing circulates materials for motorcycle and boating safety and works with the Iowa Bicycle Coalition and Friends of RAGBRAI. Of course, the concern of underage drinking has to be addressed and Doll is “adamantly opposed” and committed to prevention. 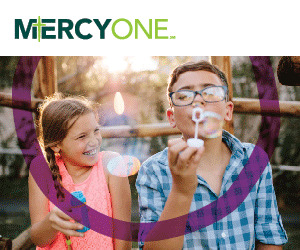 The company works with parents on conversations to have with children, retailers on identifying fake IDs, and schools and colleges on reinforcing the message that 21 is the legal age to responsibly purchase and consume alcohol. It all goes back to the community-centered heart of the distribution company. 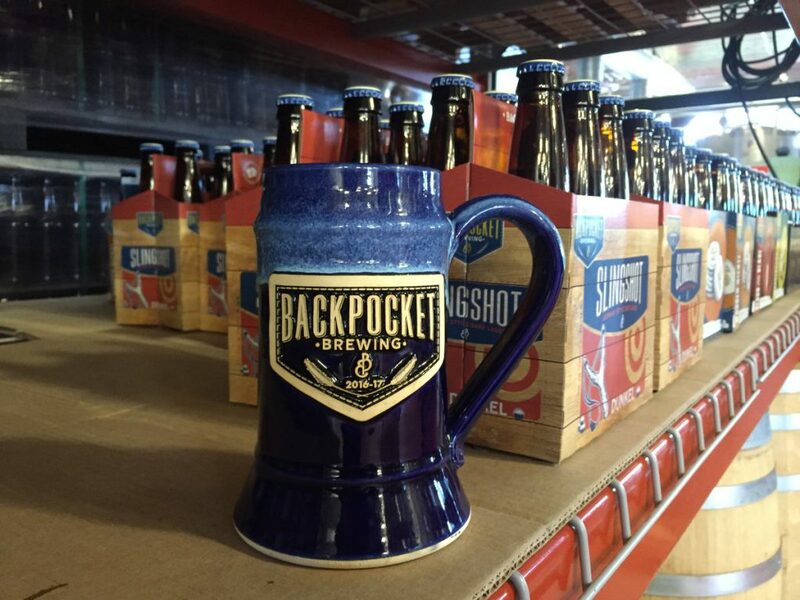 Brewer, distributor, vendor, or consumer—we can all “cheers” to that! When you find “the one,” you just know. Sometimes this sort of love catches you off guard, and you find them in the least suspecting place. Sometimes you’re ready and searching for the right match. Sure, they could be missing a leg, or maybe they don’t have the prettiest coat on the block, but when you meet your perfect pet, you just know. An avid dog lover and advocate, Amy Heinz just knew she had to help a poor dog she saw abandoned on the side of an I-80 on-ramp in De Soto. After almost two weeks of attempting to find and get near the dog that had multiple broken bones in its foot, Heinz was able to attract the dog to a trap provided and monitored by the Animal Rescue League of Iowa. She took the dog home and aptly named her Grace as she quickly joined Heinz’s other four dogs as a furry member of the family. This successful search and rescue mission inspired Heinz to help other pets survive, thrive and find loving homes. 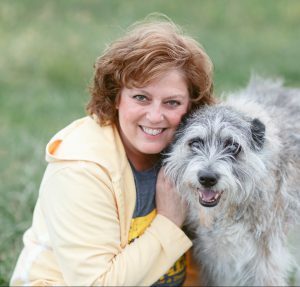 In 2008, she launched AHeinz57 Pet Rescue & Transport in her garage and rescued and found homes for 100 pups during her first year of operation. What started off as an initiative of passion inspired by Grace the dog evolved into something much bigger than Heinz expected. Now, the nonprofit is a committed community resource for saving homeless companion animals, assisting other shelters/rescues through rescue transports, offering in-home training to keep dogs in their current homes, and educating the public on the issues of pet overpopulation, responsible pet ownership and puppy mills. 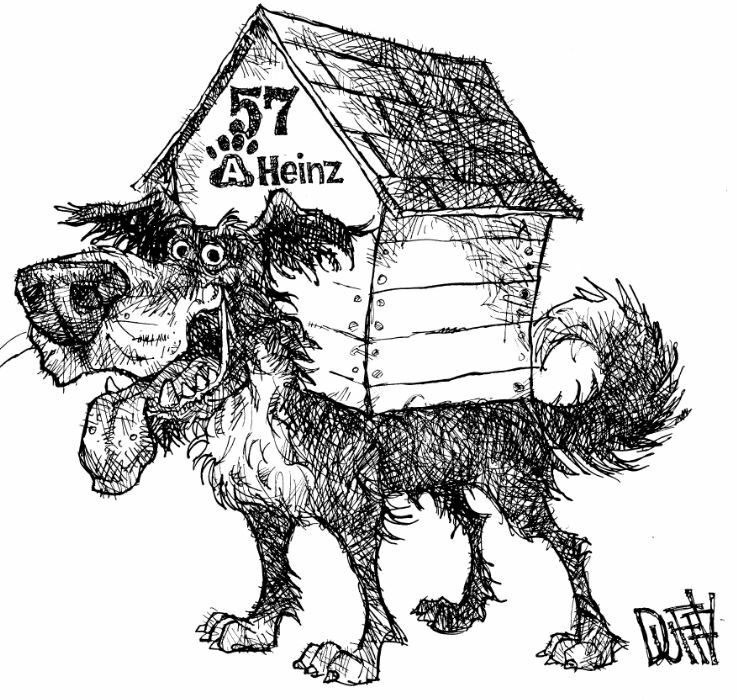 The “rescue transport” element differentiates AHeinz57 from traditional animal shelters and no-kill rescues. 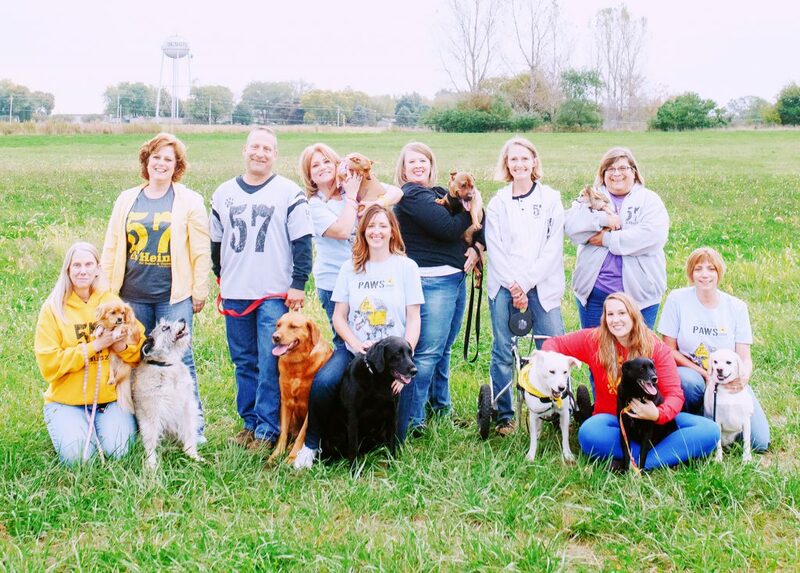 Volunteers for the organization transport dogs that are set to be put down in traditional shelter environments and take them to no-kill rescues across the Midwest, as well as Canada. The facility serves as an overnight “pit stop” for the pups, and also as a haven for dogs waiting for an open foster spot. Senior dogs and other pups that cannot find foster families also find a home at cage-free AHeinz57. When homeless or other dogs are brought through AHeinz57, they receive a check-up and are treated to the veterinary works, including vaccines, heartworm prevention, spay/neuter procedures, and a microchip. 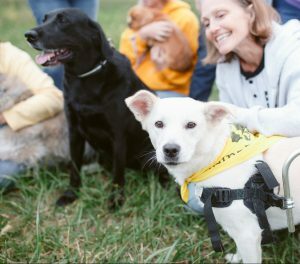 Since its founding, AHeinz57 has helped over 5,000 dogs find their “happy tail” (as the organization likes to call an adoption), in addition to transporting even more animals out of danger of death to a hospitable rescue facility. Yet, there will always be animals in need, so there’s a need for AHeinz57 to have additional space to shelter dogs on their journeys to forever homes. AHeinz57 is currently located in an old vet clinic and has space for about 12 dogs. But, between the dogs’ living area, laundry and medical rooms, and adoption space, it’s difficult to manage noise, ventilation and disease control. Its energy efficiency is also less than ideal, and there’s a need for more space for operations. That’s why AHeinz57 drew up the blueprints for a new and improved facility. The new place will offer a more comfortable space for the dogs, as well as for those who come in for adoption processes, education and training. But, such an expansion is an expensive one that requires a capital campaign to help fund the dream. Heinz and a coalition of volunteers are on a quest to raise $1,250,000 for two buildings that will better serve the needs of dogs and other animals in need of homes. Quests like these don’t happen overnight. AHeinz57 Board President, Mark Gilchrist, said the team began the conversation about a new building over two years ago and seriously began planning over a year ago. Four acres were acquired in November 2015 and official capital campaign fundraising began at the beginning of 2016. 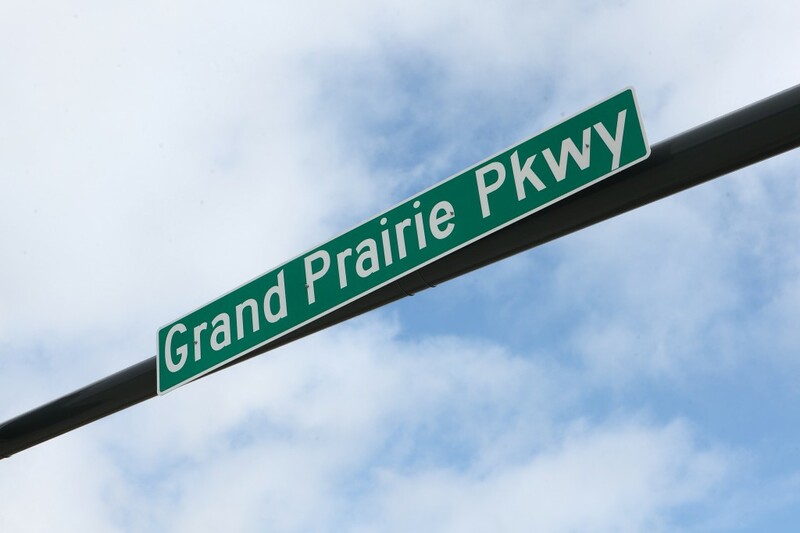 “We originally set a very aggressive schedule, but with construction too heavy in the area, we will most likely begin building in the spring of 2017,” Gilchrist said. Two new buildings will be constructed: a rescue shelter and a boarding facility. The rescue will have 31 suites for dogs, with 16 of those dedicated as “hold kennels” for strays. Two additional suites will be dedicated as “night drop” kennels for local law enforcement to use for homeless dogs they bring in. Plus, there will be a garage for the transport vehicles and additional parking. The boarding facility, called Gracie’s Place, will feature 23 pet suites. Net profits from boarding services will be put towards the organization’s rescue and transportation efforts, allowing the nonprofit to be less reliant on donations. Two suites in the boarding facility will be allocated specifically to pregnant and nursing dogs and their litters. To Heinz, Gilchrist, and the rest of the board, the new facility represents a future of community integration at the organization. “Upon completion of our new facility, we’ll be launching several programs targeted at giving back to the community, educating children and pet owners, and supporting our senior citizens,” said Gilchrist said. Details on events for the capital campaign will be available on the organization’s website (aheinz57.com) and Facebook page. Interested donors can make tax-deductible donations in the form of cash, via the campaign’s website (aheinz57build.org) or mailed to PO Box 188, De Soto, IA 50069. Looking for a furry friend of your own? Adoption events are generally held on Saturdays from 11 a.m.-4 p.m., but the organization recommends checking its web calendar to verify. Because most dogs are in foster care, if you’re interested in meeting one of the dogs available for adoption, email adopt@aheinz57.com. With the current nationwide focus on the relationship between the public and the police, community policing initiatives may now be more important than ever before. 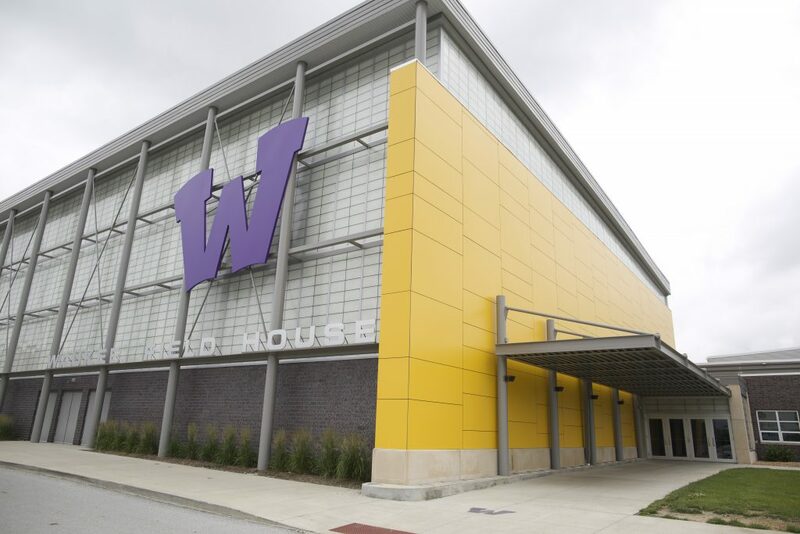 The 20-officer Waukee Police Department is striving to be a leader in that arena. Waukee Police Chief John Quinn, who has been at the helm since March of 2014, said the concept of community policing originally came about as a way for police to work with community members to identify crimes being committed and to address resident concerns, but it has evolved to serve an even higher purpose. Bicycle Patrol: Officers on bicycles provide outreach and support on the city’s trails and parks via bicycles. Body Cameras: Waukee’s on-duty police officers wear body cameras that activate each time officers have contact with the public. The cameras hold both officers and citizens accountable for their actions. Citizen Police Academy: This series of ten, three-hour classes gives citizen participants a working knowledge of the police department’s practices, policies and procedures. 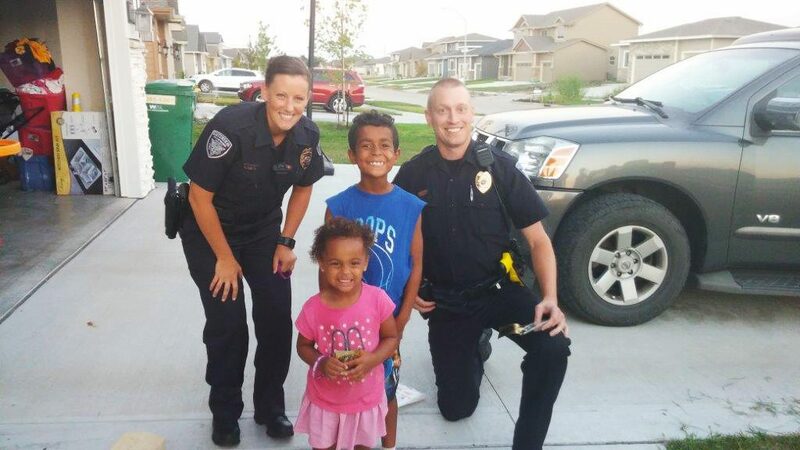 Community Event and Neighborhood Presence: Officers make a point to be present and visible at community events, such as the Easter Egg Hunt, Celebrate Waukee and Fourth of July festivities. They also make friendly stops in neighborhoods throughout Waukee. Public Safety Day: The Waukee Police and Fire Departments feature public safety-related activities such as a child safety seat checks, child IDs and fire hose demonstrations at this annual event. Safety City: The police department hosts week-long courses for incoming kindergarten students. The children learn about street safety, pedestrian rules, stoplights, safety belts, 911, bus rules and more. 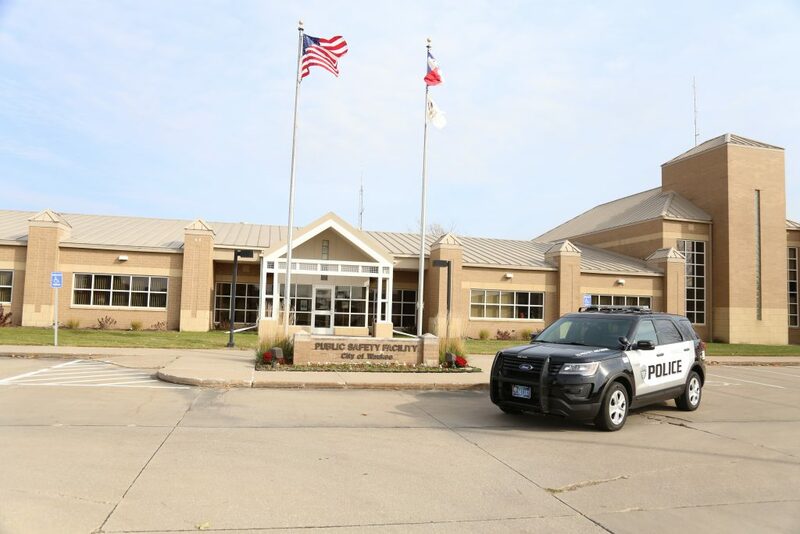 School Resource Officer (SRO) Program: The SRO program places police officers within Waukee Community School District buildings to develop relationships with students and parents. Senior TRIAD Program: TRIAD, a partnership between law enforcement, senior services and seniors to reduce criminal victimization of the elderly, meets once a month for lunch and conversation. 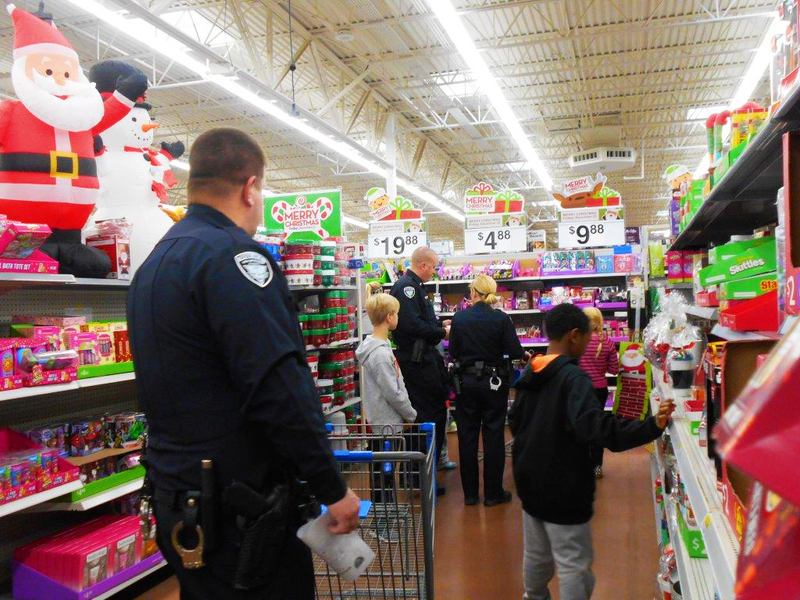 Shop with a Cop: Each December, the Waukee Police Department takes low-income children shopping for holiday gifts for themselves and their family members. 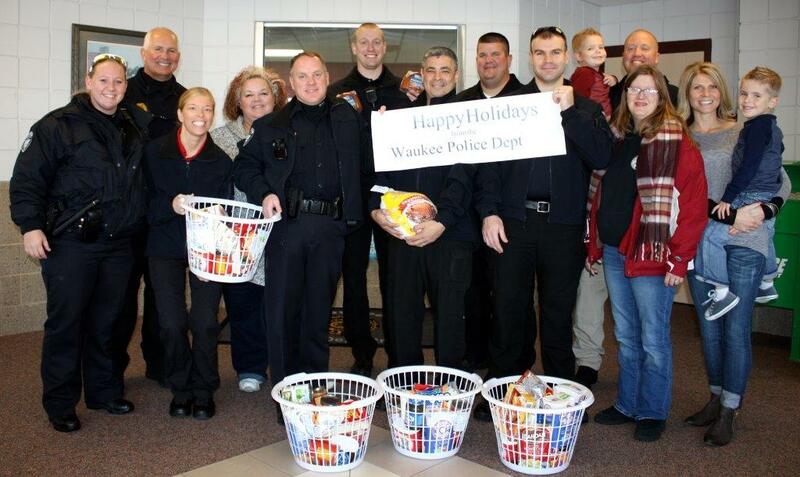 Thanksgiving Baskets: The department also purchases baskets full of Thanksgiving food for needy Waukee residents. The residents choose from ham or turkey meals. Waukee’s School Resource Officers are some of the most recognized faces in town. Officer Brian Murra spends his days during the school year with students and parents. During the summer, when he’s not dealing with calls or traffic stops, you can find him handing out badge stickers at lemonade stands or tossing a football around with kids at Centennial Park. Moving to the opposite end of the generational spectrum, you’ll find Waukee police officers at the TRIAD program. This engagement luncheon initiative has grown to almost fill the Waukee Community Center each month. Topics discussed with the participants include the officer hiring process, tips on avoiding identity theft and even an annual bus tour to see the new development being built in Waukee. The most valuable information is about scams and the new things going on around town,” said one TRIAD attendee. 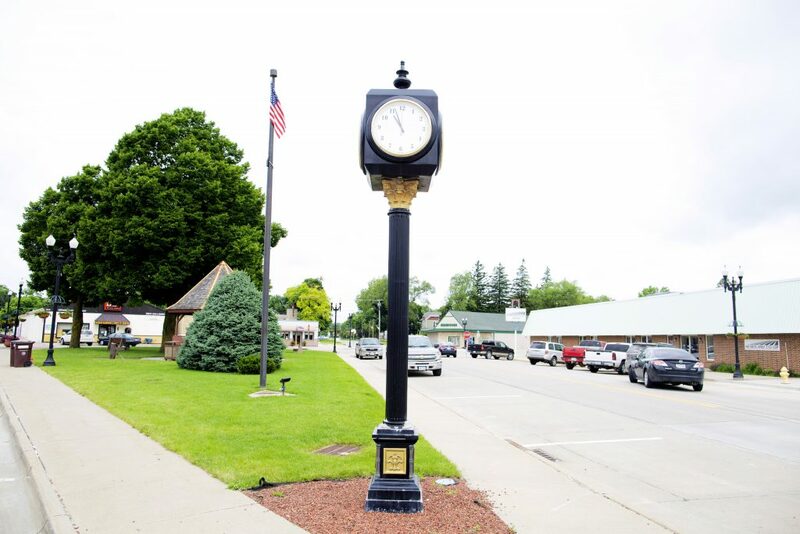 Age aside, the Waukee Police Department aims to provide a safe and comfortable community for all residents. While they’ve added several new programs recently, there’s no sign of stopping. “I helped develop and implement the Citizen Police Academy, and I’m excited now to work on launching a Crime-Free Multi-Housing Program that will address crime prevention in rental properties,” said Sgt. Jeremy Long. Chief Quinn said he’s proud of those in the department taking community policing so seriously. And while the main goal is to benefit the community members, he said it’s helpful to put the lives of officers into perspective for the public as well. Please visit www.Waukee.org/Police for more information about these programs. 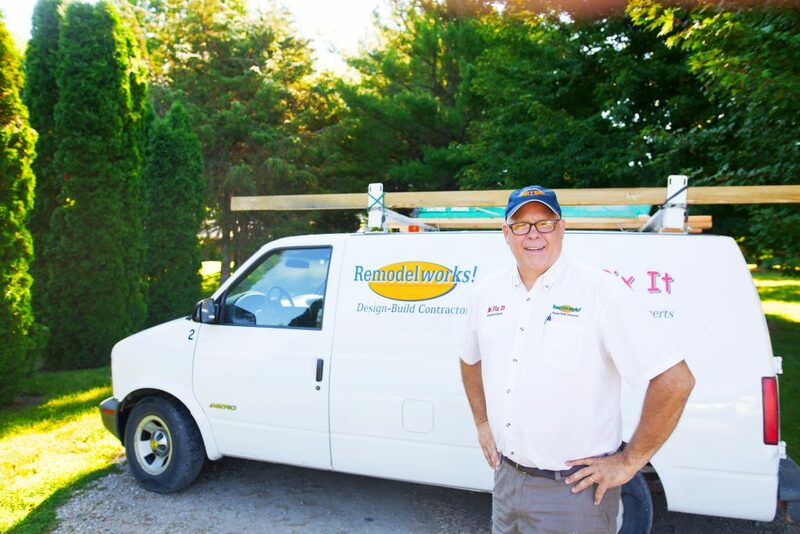 Larry Lyon’s dual-focused business—Remodelworks! and Mr. 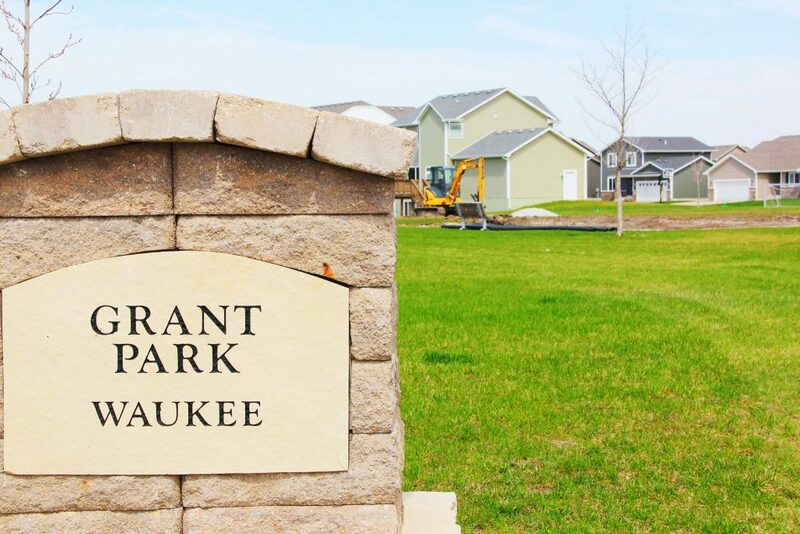 Fix It—has been an influential part of the growing residential neighborhoods of Waukee since its inception in 1996. But even before that, Lyon had an entrepreneurial spirit. After graduating from the University of Northern Iowa in 1984, he worked for Bristol-Myers Squibb, a pharmaceutical company, for about a decade. While working there, he spent a lot of time in hospitals and nursing homes, where he noticed that wheelchair wheels were always “gunky” and therefore not as functional as they could be. “I invented a machine that automatically cleans wheelchair wheels,” Lyon said about the invention for which he received a U.S. patent. Back then, he thought that invention was how he was going to make his “millions.” But, the business was based on his onsite machine, which was transported in a huge 24-foot-long cargo trailer, and it hit some operational hiccups, especially in the wintertime. So to make ends meet, he began taking on home improvement gigs for friends and neighbors. “A friend had gotten back from Colorado to find that a water pipe had burst in his condo, and that was my first big home improvement job. After a few more projects, the business really started taking on a life of its own,” said Lyon. 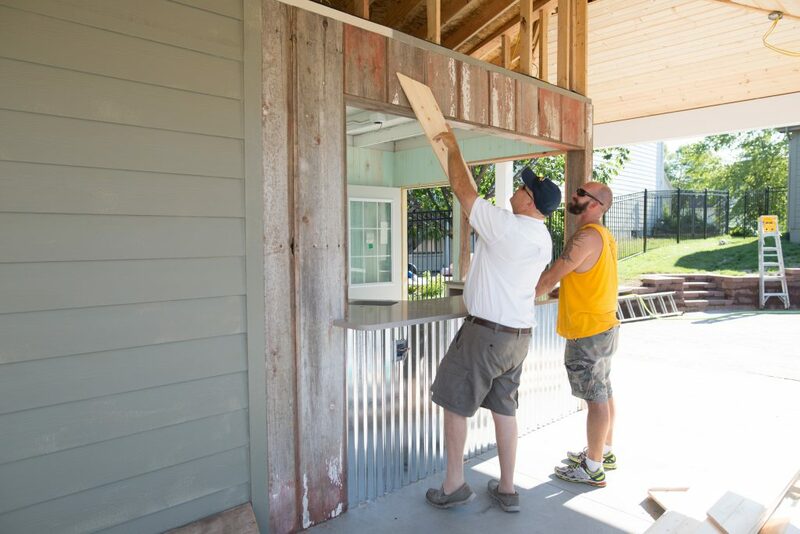 Fast-forward about two decades and Lyon still runs his small business out of his home, but he now has a fleet of vehicles and an experienced team of contractors to tackle even bigger projects in the “West Metro” area. Fixing problems and creating something new out of something old is in Lyon’s blood. He grew up helping his father and grandfather in their hardware store, Coast to Coast. He saw what it took to be a valuable asset to a community, and to do the same with his own business, he started small. He traded his minivan for a pick-up truck and strategically began acquiring tools beyond the table saw and vice with which he began. Slowly and steadily, he grew the business. “I would try to take jobs I could complete with the tools I had, and if a job required a tool I didn’t have, I would get the tool and then the job would help cover the cost of it,” he explained. 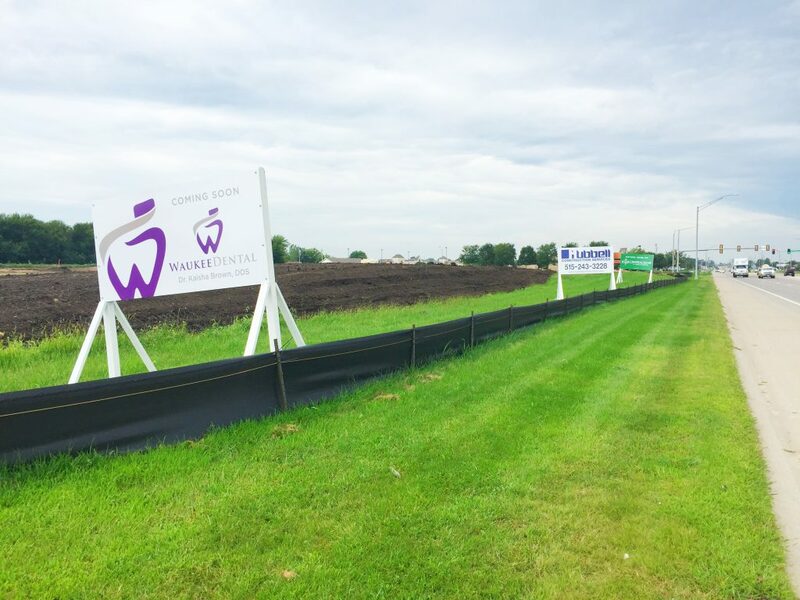 “We thought we were moving into the country when we moved to Waukee,” Lyon said of his family’s home on a then-gravel road that backed to a field. That lasted for about a year before the major residential growth started to crop up all around them. With substantial growth in Waukee and the surrounding area, Lyon’s Mr. Fix It business rose to meet a growing demand for remodeling. “Satisfied clients from our home improvement projects would ask us to come back and finish their basements or decks,” said Lyon. That’s when he realized he had a marketing problem—Mr. Fix It didn’t sound like a remodeling company. It sounded like the company you call for smaller (yet still important) property fixes. 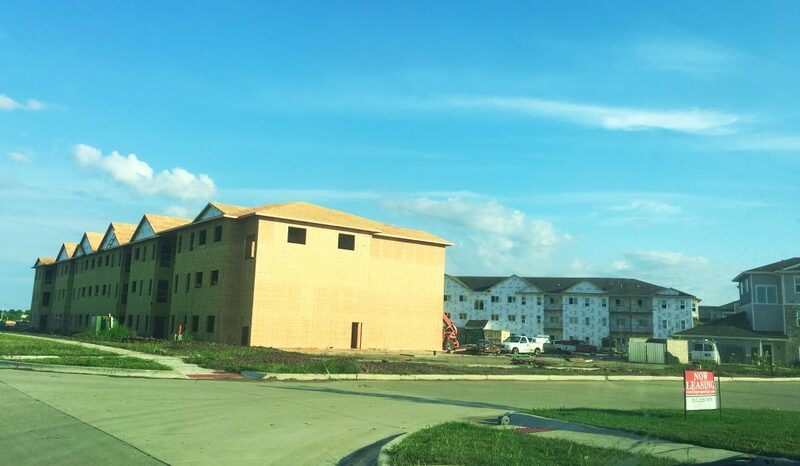 So in 2008, Lyon launched the other part of his business—Remodelworks!—and invested in a 3-D imaging software program that allows customers to “see” what their projects will look like upon completion. 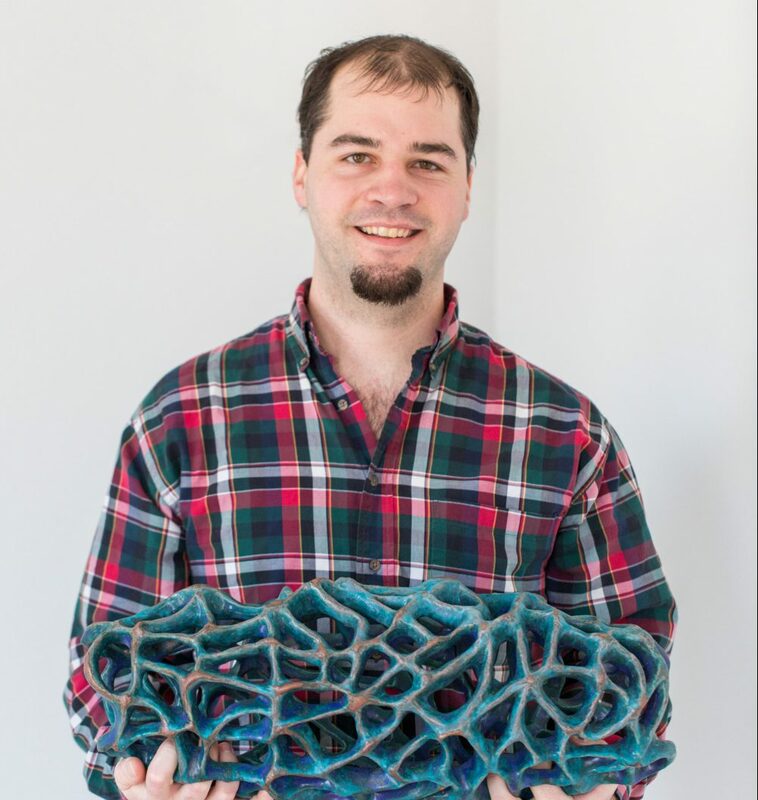 As a design-built contractor, Lyon and his craftsmen work with clients to help them find solutions to their home issues by helping them determine what they want, as well as what they want it to look like. Lyon added that some of his early clients now have grown children that have their own houses and call Lyon’s crew first for their remodeling needs. “We really appreciate the business and feel blessed that our clients have supported the company for so many years,” he said. Lyon’s business is currently home-based, and at some point, he foresees the need to move to a commercial location. However, that will present another challenge. If there’s anyone in a position to tackle the challenges of small businesses, it’s Lyon, who is a familiar face in Waukee, thanks in part to his involvement within the community. “My dad said that community service is the price you pay for space on the Earth,” said Lyon, and he’s been living that value—especially since he moved to Waukee. He first got involved in an economic development group and then first ran for Waukee City Council in 1998. He served on the council through 2000 and the Waukee Board of Education for over a decade, from 2004 to 2015. Now he’s on the Waukee City Council once again, and it’s been a chance for reflection on how much Waukee has grown as a community. “When I was on the council with Bill Peard back in the ‘90s, we didn’t realize it then, but it’s like we were building a city from scratch. It’s been amazing to see everything that’s happened,” said Lyon. He also translated his father’s teaching into co-founding the Waukee Leadership Institute. Lyon says that when he was on the school board, they saw the district growing at an astronomical rate, but there were only one or two people running for elected positions, which was concerning. “The purpose of the Leadership Institute was to educate people on how cities and school districts operate. The intent was for the graduates to step forward and serve in leading the city, and I’m proud of how that has grown,” he said, adding that he’s no longer involved with the institute on a daily basis. “My forte is focusing on the big picture, so luckily, other people have stepped forward to execute all the details,” said Lyon. Contact a remodeling company. Discuss the project and its feasibility, and obtain a price and time estimate. Call a realtor. Ask how much money you could invest in your home in order to still get a return on investment when you sell the property. Double check the rules and get a green light. 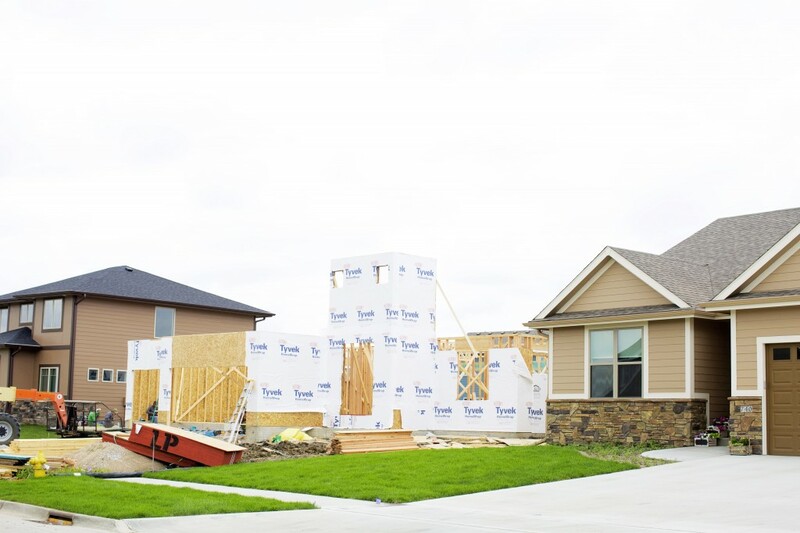 If you’re looking to construct an addition to your home, check whether your local neighborhood association will allow it. Also check with the city to ensure you’re not crossing a property line or infringing on any utility operations. When you’re ready to move forward, set up a meeting with the remodeler to clearly define the goal of the project. “I always like to have both partners in the home present when I ask about their goals and needs,” said Lyon. Acknowledge the time the work requires. Remodeling, when done well and with quality craftsmanship, takes time. Lyon said that finishing a basement takes five to six weeks, additions and large kitchen remodels take around eight weeks and a master bathroom takes about four weeks to complete.